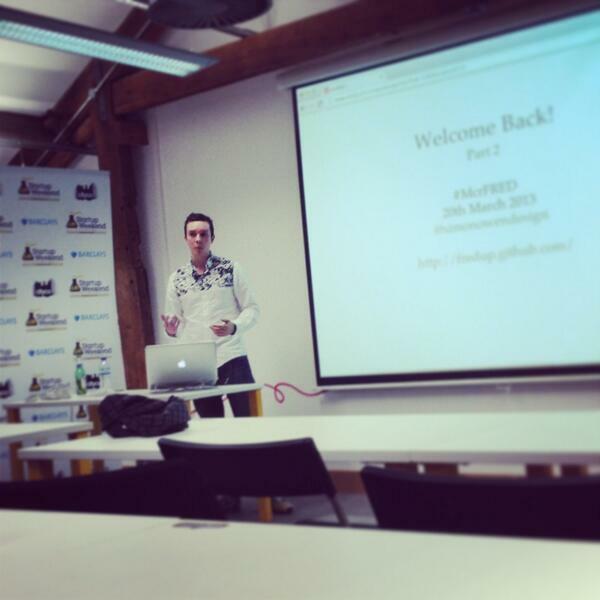 Thanks again to everyone that came to the first #McrFRED, was great to see such a good turn out and people placing their trust in a new venture into Front-End Development. Would be great if you could spare a few minutes to give any feedback, either on the feedback form below or in the comments. Especially interested if people want to come again, when the best day and times would be and what topics you'd like talking about. All those familar with GitHub, it would be great to see some people fork and contribute where possible. Any questions, feel free to tweet me @simonowendesign or send an email [email protected]. When I can I'll edit the filming recorded by Chris at https://threequartersproductions.wordpress.com/ and get it online. Money raised from the event from ticket donations and sponsors: £126.34. So, £126.34 to Code Club!